After reading ‘Oh dear!’ (September 16-30, 2010), a question began haunting me. What will deer eat? Deer cannot survive on mangrove leaf litter. Authorities who decided to introduce the animals in the mangroves of the Sunderbans to supplement tigers’ diet forgot that in the absence of food, deer will turn to nearby areas and destroy food crops. This venture will aggravate the human-wildlife conflict. During the British Raj, deer were introduced in the Andaman and Nicobar Islands. In the absence of natural predators, their population increased and became a threat to crops. Today, forest officials of the islands are worried because deer are foraging on juvenile tree species, hampering natural regeneration. It is necessary to consider the consequences before introducing a species in a sensitive ecosystem. As a qualified medical practitioner with 46 years of experience I welcome the policy to prevent random use of antibiotics (‘Superbug prompts antibiotic policy, November 16-30, 2010). Even ayurveda and Unani doctors many a time prescribe drugs without any knowledge of their composition and side-effects. Over-the-counter drugs are also a health hazard. These practices need to be monitored. Another problem is lobbying by the pharma industry. It is important to bring order in the health services as many patients are illiterate and gullible. Why is India still in endosulfan denial (November 1-15, 2010) when most countries have banned its use and supported the ban at the sixth meeting of Persistent Organic Pollutants Review Committee to the Stockholm Convention? India’s opposition to a global ban on the manufacture and use of endosulfan citing economic reasons is immoral. Will anyone recommend taking poison for a few pieces of silver? Following the devastation it caused in Kerala, endosulfan should be banned throughout the country. 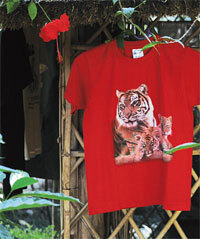 Conservationists want wildlife protected and also want people to be settled in the forests (‘In the name of the tiger’, November 16-30, 2010). This is simply not possible. Forests are getting increasingly fragmented. People living in forests are digging elephant trenches, electrifying farm periphery and using firearms to keep animals at bay. Unregulated tourism is also threatening wildlife. People living with modern trappings inside forests just because their ancestors were tribals cannot be categorised as tribals. Instead of allowing people to live in forests, the authorities should work towards rehabilitating forest dwelling communities and educating their children. Tribals should be involved in the protection of forests. The government should maintain a strict cap on tourism in and around wild reserves. The Dhamra port project is one of the most pathbreaking and responsibly undertaken industrial initiatives in Orissa (‘Dhamra port on mangrove land’, October 1-15, 2010). Dissenters like Greenpeace have been protesting the port’s development saying that nesting of Olive Ridley Turtles would be adversely affected but the claims have been proved incorrect. In 2009 and 2010, numbers of Olive Ridley turtles flocked to the Gahirmatha beach. This proves that nature and industry can coexist peacefully if proper accountability is maintained. The ongoing activities at the port follow rules and norms set by the International Union for Conservation of Nature and Natural Resources, which classifies the turtles as vulnerable. Most importantly, the actual port site is far from the nesting beaches. People from the region have welcomed the project as it has significantly improved their socioeconomic condition. The only problem with microfinance institutions (MFIs) is that there are many of them working at any given place, providing easy loans to people who believe that running a small enterprise/shop is easy. This multiplied lending has worsened the situation (‘Profit from the poor’, November 15-30, 2010). A simple regulation by the government would be enough to make MFIs stick to the agenda of providing credit to poor people at low interest rates. This refers to ‘Spoils of local bodies’ and ‘Panchayati bonanza’ (November 1-15, 2010). I belong to a village named Mahadev in Mandi district of Himachal Pradesh. I have never visited European or American countries. But present-day films, shot mostly abroad, provide ample glimpses of well-planned rural landscapes of western countries. It is time we Indians planned our rural landscapes like theirs. 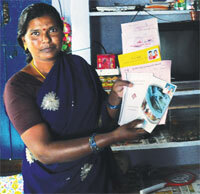 Funds given by the Centre to rural institutions can do wonders if utilised properly. In Himachal Pradesh, these funds are being used for paving footpaths but a proper plan and alignment are missing. Panchayat pradhans are doing nothing to remove encroachments along the footpaths. Subsequently, the end product is an eye sore. To make proper use of these funds, each panchayat should submit a list of proposed developmental work with details of encroachments, if any; a revenue officer should remove the encroachments; and engineers should set standards for the proposed works and supervise them if given a go-ahead. Criticism in the editorial ‘ABCDE of Obama’s sales pitch’ (November 15-30, 2010) is uncalled for. Forget the US agricultural model. Agriculture has been our priority since Independence, but what have we achieved? Hunger, poverty and illiteracy stalk the countryside. The truth is, our agricultural model has failed miserably, while the US is a major global exporter of food grains and edible oils. It is naive to believe that organic farming is enough to feed India’s over billion population. What our country needs is genetically modified varieties of foods. We need organised retail chains. India is fast developing its own organised retail chains and entry of overseas chains will foster competition which will benefit the consumers in terms of price, quality and service. We cannot expect free lunch all the time because of poverty stemming from bad planning and corruption. As for education, China is marching ahead of us. We must open our gates to foreign universities to improve educational standards. Barack Obama is not stopping us from changing our country for the good. India needs the US as much as most non-profits here need the US for funds. 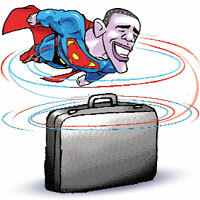 Obama has proved himself to be a man of ordinary talent who is simply trying to make gains for his country. Through his business offers he is trying to penetrate India’s rural sector to benefit his country. The fault lies in our leaders who are corrupt and cheat their own countrymen by accepting agreements proposed by western countries who work for personal gains. This refers to ‘The goat gamble’ (December 1-15, 2010). The book Vegetarian or Non- Vegetarian, Choose Yourself quotes famous saint Mirdad: “He who eats the flesh of any living being shall have to repay it with his own flesh. He who breaks another living being’s bone shall have his own bones smashed.” Nonvegetarians are harming not only the animals but also the environment. Having said that, eating habit is a personal choice and everyone has the right to decide what to eat and what not.